The Dome-Top 1000 combines all the best materials and design features available to make it the most durable and versatile guzzler we produce. The unique Walk-In design gives large animals secure footing at any water level. 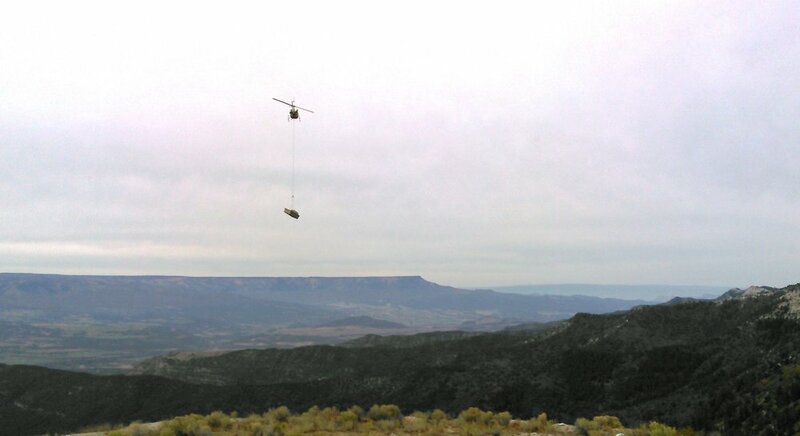 Upland bird and small animals can utilize the gentle 28-degree ramp for easy access and escape. The larger 1000-gallon capacity enables you to water a greater number of animals in between longer dry periods. Special cross-linked polyethylene withstand prolonged exposure to extreme heat and cold. The large, strong dome holds up to heavy snow loads and curious bears. 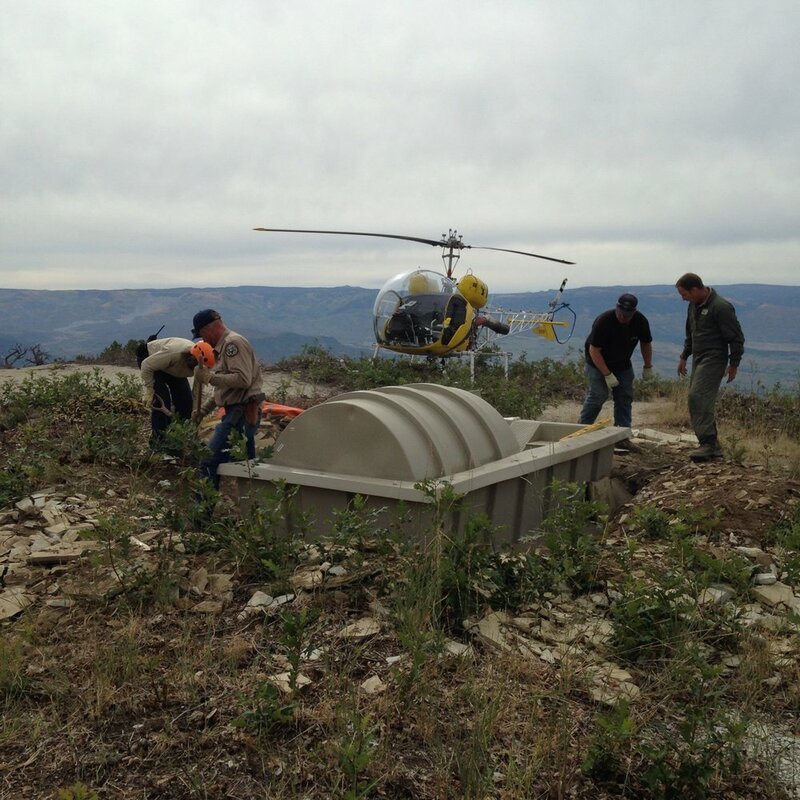 For an even larger scale, modular system, see the Walk-in Drinker system used throughout SW region for large herd of elk, deer and big horn sheep. Walk-in steps have extra support for larger animals. A 28-degree ramp allows upland bird and small animals easy access in and out. Cross-link polyethylene. Ultra durable protection against extreme heat and cold. Access Hatch allows for easy inspection. Aluminum Reinforced Frame for additional support throughout. Dome-Top Design with ribs to withstand snow loads. Made of cross-linked polyethylene*. This premium material is engineered to survive the harshest conditions. In sub-zero temperatures it has increased impact strength and Environmental Stress Crack Resistance (ESCR), making it perfect for installations in remote locations where prolonged freezing and above-ground installations are common. The steps are designed to carry the full weight of large animals. An internal support column rises up and supports steps from below. Deer, big horn sheep and elk receive solid footing when stepping into the walk-in drinker. *The cross-link process of enhancing polyethylene is based on lining up and linking the molecular structure of the plastic into longer and stronger chains. In practical terms, this results in increased impact resistance and sustainability of the polyethylene in prolonged subzero temperatures.